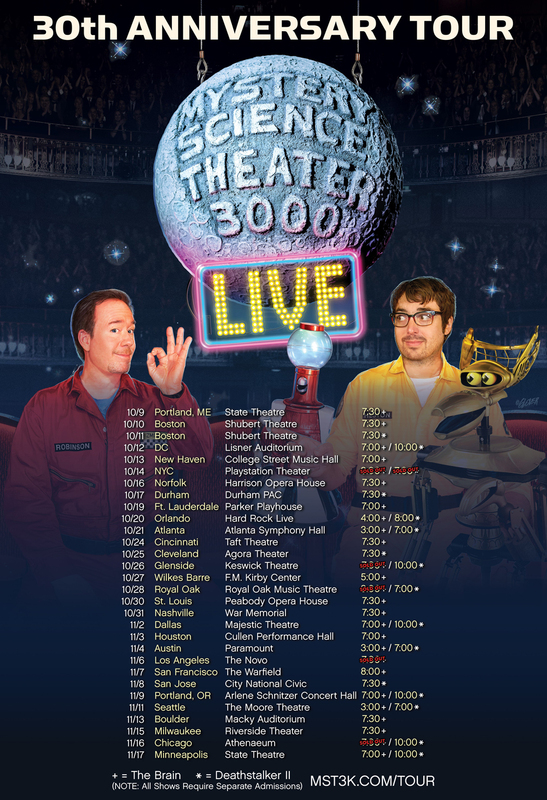 The MST3K Live 30th Anniversary Tour starts tomorrow in Maine! Some shows are sold out, check to see if there are tickets available near you on the tour page. VIP meet and greet ticket packages are available. Hope to see you out on the road!